Marvel’s cinematic universe has given us some great heroes – and villains – but what keeps us coming for more is how this whole universe has so many levels, and so many worlds. We have the Avengers, saving the planet with all their might; we have the Guardians of the Galaxy, protecting the worlds beyond our own; and with the newest installment, we learn that Earth can be saved with the physical and the spiritual. Enter Doctor Strange. Alright, we have all heard mixed expectations. As the MCU expands, and we discover more brave faces, we also discover the diversity in how they keep everyone safe. That is where Doctor Strange dazzles us. The story of famous surgeon, Dr. Stephen Strange (Benedict Cumberbatch), reaching past his medical expertise to cure himself of what he was repeatedly told was incurable nerve damage, shows something human in my eyes. He was full of himself, and he closed his mind off to whatever of the universe he didn’t know – he acted as if he knew it all – but he opened up his mind and that led to his powers. Opening his mind made him who he is; the best he can be. It’s inspiring, honestly. We must discuss the ethnicity issue. It’s been there since the beginning and throughout the promotion for the movie, it needs to be discussed, not the whole movie is released to the public. I need to admit, Tilda Swinton – as talented of an actor as she is – was possibly a mistake in casting. Don’t get me wrong, the diversity of actors cast in these roles is realistic and appropriate, but I believe the character of the Ancient One would have been best to remain as being Tibetan. “Whitewashing” is not a term I’m throwing in here though, because it’s not necessary when diversity is clear and greatly appreciated, as well as being used for the sake of making a successful film – not just to keep movie-goers happy and avoid the “racist” label. Same as whitewashing, we cannot call “cultural appropriation”. The representation of spirituality and healing is not used disrespectfully, and the story of Stephen Strange opening his mind to realities he never heard about and abilities he never gave a chance to before is one everyone can pay attention to. Alright, I don’t really want to be that person who finds depth beyond depth in a normal action movie, but there is here. Like we only believed in the Avengers catering to the usual, the stereotypical way of dealing with the supervillains, we can also be opened up to the idea that the mind is just as mighty as the body it controls. Doctor Strange is an example of changing what we know about the strength of superheroes, using your mind to save the world. Last, definitely not least, we have the special effects of this movie. Like wow. The representation of the powers in our world, manipulating surroundings, is more than a regular eyeful. It gives us exactly what we need: a visual understanding of these powers. It makes you imagine “how would that feel?” as the world stretches, spins, and separates in front of our very eyes on that big screen. It’s exciting, and despite it being the result of something most of us won’t believe is a real thing, it makes us believe that little bit more. It’s terrifying, but exhilarating, because that could easily be the world we live in. Let us wish it never will be though. It may not end well for us. Overall, worth the watch. It might not be your favourite MCU movie, I’ll admit, but it would be a mistake to skip this, as it holds a whole new chapter in this universe, beyond the Earth and the stars. The universe in our own minds. Do you enjoy your comic book films as family friendly, easy viewing and generally safe? Well, that is thrown out the window in this adaptation. Starring Ryan Reynolds as the guy in the red suit (no, not Santa), Deadpool follows the lead character as he gets revenge on those who nearly destroyed his life. Possibly the darkest and most brutal Marvel film to date, you will surely be questioning your movie tastes when you find yourself laughing out loud at this film. Be sure to look out for cameos from the X-Men and how many times the fourth wall is broken. The oldest bromance in the MCU is about to be revived as Captain America finds his former friend Bucky, and looks to save him. Things don’t look too good as Bucky is wanted for the crimes he committed when he was brainwashed as The Winter Soldier. With tensions mounting, The Avengers split into two factions. One lead by Cap, the other by Iron Man. Look out for new heroes on the screen such as Black Panther, Spider-Man and the return of General “Thunderbolt” Ross. Who will survive the Civil War? Plus, this is coming from the guys who made Captain America: The Winter Soldier, so I think we are in very good hands. Did you enjoy The Force Awakens? Honestly, it restored the faith in the franchise for millions of people and looks set to become the biggest film of 2015 and maybe even of all time. 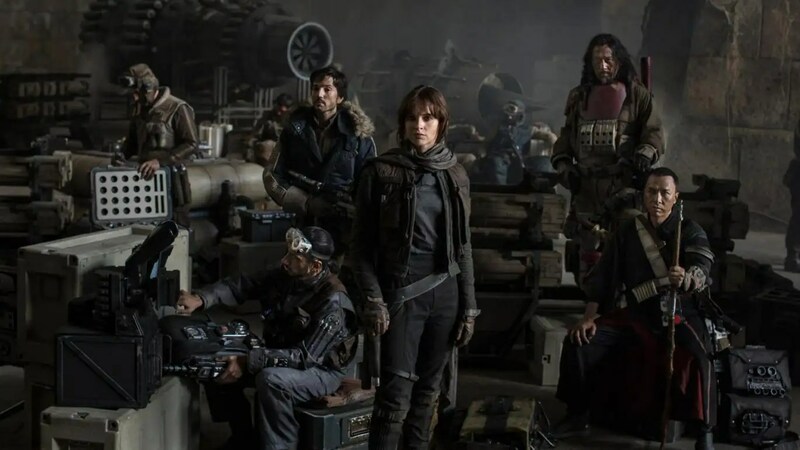 Since Disney want to expand the franchise, we get this spin-off set between Episode III and IV which shows a group of rebel fighters looking to steal the plans for the Death Star. A heist movie in Star Wars sounds a bit mad, right? Well, it worked well in Ant-Man, so it could be fun and exciting. Be sure to see many callbacks and maybe a cameo from James Earl Jones and Ian McDiarmid as the Sith Lords? Comic book movies are definitely going to be taking over the world again in 2016, but this one looks to be a very much different idea compared to the others. Using a more mystical setting, bringing magic into the Marvel Cinematic Universe will certain add a new dimension to the well-established world that we have come to know. 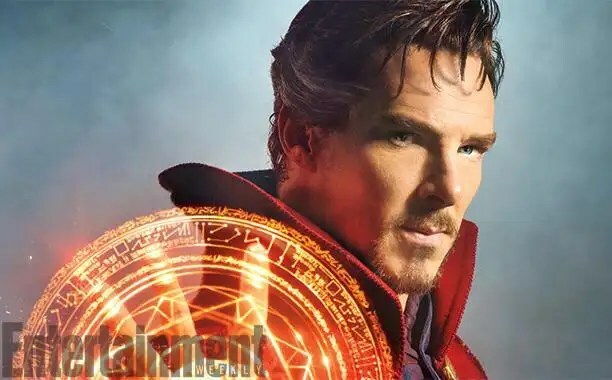 Benedict Cumberbatch will become the sorcerer supreme while the supporting cast includes Rachel McAdams, Chiwetel Ejiofor, Mads Mikkelsen and Tilda Swinton. A great cast should easily bring this film to life and take it to a world of its own! Has there been a void in your heart since the Harry Potter films finished? Well fear not, as 2016 will see us return to the wizarding world for this story set around 70 years before Harry Potter was born. Eddie Redmayne stars as Newt Scamander, a British wizard from the Ministry of Magic in 1920’s New York as he holds a briefcase filled with many creatures and they escape. This sounds like a fun movie, and it will be great to see what happens when the magic world gets hugely involved with the muggle world. The villains are coming, and they are ready to save the world. With many of the DC rogues, including many which originated from Batman, are set up by Amanda Waller for a mission which many others would consider a death sentence. From Harley Quinn to Killer Croc, there is a huge mix of villains from which to take in and discover. Will the film do a good job of expanding the DC universe of films? And what will happen with Jared Leto becoming the new version of The Joker? See when the insanity begins in August! 2016 will see the 50th anniversary of the long-running Sci-Fi franchise be marked with the new film. Star Trek Beyond is set after the 2013 film and shows the crew of the Starship Enterprise as they embark on their mission to explore space. After an incident which sees the starship destroyed, the crew are all separated and in danger. Though we won’t have Leonard Nimoy making an appearance as Spock, we may still get that William Shatner cameo which has been mentioned for many many years. In 1984, the catchiest theme tune was released to go with one of the most fun movies of the decade. Even though this is a reboot of the original film, here is hoping there will still be links to the original movies. Kristen Wiig and Melissa McCarthy lead the cast as the new female Ghostbusters come together for an updated adventure. Though to see Bill Murray, Dan Aykroyd, Annie Potts, Ernie Hudson and Sigourney Weaver maybe back in some of their original roles will be worth cost of the ticket. Steven Spielberg returns to making family movies with the release of The BFG. Based on the famous novel from Roald Dahl, The BFG will see Mark Rylance take the title role as the Big Friendly Giant as teams up with a young girl to capture the man-eating giants who have been invading the human world. The work of Roald Dahl always is fun to see on the big screen, and an update on this classic tale will surely get plenty of people to see what happens. Now, we just need that adaptation of The Twits to finally get the go ahead. If you think of how Spider-Man and Fantastic Four went, you will know why people have begged for them to be part of the Marvel Cinematic Universe. Luckily, even after 16 years, the X-Men films have managed to be very impressive and recently see their critical acclaim hit an all-time high. With the mutant Apocalypse about to rise, he enlists four mutants to be his horseman to help him take over the world. This will conclude the trilogy which begun with First Class and looks to be the biggest film to date. Have you ever played this game on your phone/tablet/video game console? Chances are you have heard about this movie being produced. There are so many big names coming to lend their voice in this movie (including Peter Dinklage, Jason Sudeikis, Josh Gad, Maya Rudolph, Bill Hader and more). With the story seeming to be similar to the nature of the game, it looks like a good film to take the kids and just wittle away 90 minutes to something fun. The trailer makes the film look rather intriguing, but we will find out more when it comes out this summer! Jon Favreau brought Iron Man to the big screen and helped kickstart the MCU, and now he looks to take the Rudyard Kipling classic to the cinema once again for this modern update. Disney looks to take one of its more popular set of characters and give them to a whole new audience. Bill Murray gets to play his dream role as Baloo and Christopher Walken will be shaking his thing as King Louie. With the film coming out this spring, it will be a great way to introduce the characters you know to your kids or younger siblings. Sacha Baron Cohen returns for yet another quirky character and looking to make another massive impact on the world. This time, he becomes Nobby Grimsby, a football hooligan whose brother is a spy for MI6. They reunite after a long time to help save the world and the humour looks to be very strong in this one. Playing his brother is Mark Strong, a man who may not be too familiar with comedy, but already seems to have it down to a tee. Let’s see if Cohen can make it yet another success story with Grimsby. Rocky Balboa will forever go down as one of the most famous characters in movie history. Sylvester Stallone returns to the role that made him famous and this time takes a supporting role to Michael B. Jordan who debuts as Adonis Creed, the son of Rocky’s former friend and rival Apollo. Adonis seeks out Rocky for his help in getting him into boxing, and the story goes from there. The praise for this film already is ridiculously high and there is even Oscar talk for Stallone. Definitely one to see for fans of boxing, Rocky, Stallone or just to see what is probably his best performance according to many reviewers. If you can take a famous novel from Jane Austen and make it into a well-received parody, you clearly are on to a winner. Burr Steers has written and directed this adaptation and has managed to squeeze in a huge amount of talent for this movie. A mostly British cast lead this film which tells the original Pride and Prejudice story, but with the subtle change of being in a world infested with zombies. Could there be a more bonkers movie for 2016, yes and it is called Deadpool! But I think this will probably get people going just for the title alone! What more do I need to say? This is two of the biggest comic book characters in history coming face to face on the big screen for the first time. Henry Cavill returns as the Man Of Steel while Ben Affleck gets his chance to be the hero again as he becomes The Dark Knight. Though many feel the latest trailer has maybe given away a lot of the story, the one released in the summer saw just how well the two go on the screen and the tension is shown to be really high as both characters come eye to eye. This may be the biggest film of the year, will you see it?